My friends and family do not come to me to find the latest and greatest of anything, and if you've read this blog for any length of time you are well aware that this is not where you come for the latest and hippest food spots or openings. No, I gave up long ago trying to be cool or following any of the latest trends, food or otherwise. I believe it started sometime in the third grade when I had to get half-inch-thick glasses with equally thick brown frames. 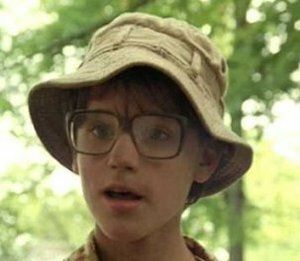 And despite that in previous posts I have oft liked to wax on about my likeness to the great LDP, I am and always have been unfortunately much more like Cory Haim when he starred in the classic film Lucas. That is why only now, several weeks and possibly even months after the fact, I am here to report that Grandma's Korean BBQ has closed its doors for good. If you read my post or ever stepped foot into Grandma's this news would come as no surprise. Grandma's was never, ever bustling with business, no matter how good her home-cooking was or how well it was priced. No, Grandma's joins a too-long list of little-known Denver-area restaurants that have shut their respective doors not because of bad food or service, but rather the inability to draw customers. It's too bad when so many restaurants get away with serving mediocre-to-bad food at much higher prices and with much more attitude. But such is our world. Maybe it was for the best. Grandma and her husband had retired once, and hopefully now they will be able to enjoy their retirement, collecting vintage stock certificates or flying Korean fighter kites. Or maybe just getting back to nature, as the now re-vamped kimchee.com website seems to suggest. In it's place is another ambitious venture that will try and defy the odds of being located in possibly one of the worst restaurant locations ever. It is a Thai outfit touting "Street Cooking". Sounds intriguing. You'll be the first to know if I try it. If you were one of the lucky few to stop in a taste some of Grandma's cooking, you might want to send her an email and thank her. Good luck, Grandma, we'll miss you. Thai Street Food is really authentic and really good by the way. Only open sat and sun. Same lady as the thai food cart downtown during the weekdays, but this location has a lot more items, and her specialties, (NE thai). Salads, grilled food instead of curries. Thank your for the wealth of information. Will certainly visit your site more often now.